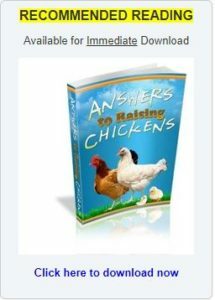 As of late there’s something going on and entrepreneurs are looking into how to raise chicken. I know most likely, not what you were expecting but there is a steady growing trend that’s got opportunists clucking all the way to the bank. What do you think? I mean how much money do you really think is made from chickens in a given year? I’ll tell you, but brace yourself. Actually before I do , I’d like to give you a a bit to think about. If you’re thinking about going into business you may think : video gaming, delivery services (a huge niche that we’ll talk about tomorrow), or how about sports? Health? Wealth? Who would ever think that raising chickens could be their, easy street ? Here’s that number that pairs up with how to raise chickens: 5 billion dollars! What ! 5 billion dollars, that’s a lot of chicken. You see the industry isn’t just about eating chicken, fried, baked, broiled, grilled, you name it, we love it. However right now we are talking about the sheer big money that surrounds chicken, and yes raising chickens. When I first began researching the whole chicken farm concept, I was thinking there couldn’t be much behind the niche. I further didn’t think that we would be entertaining or obtaining financing for anyone who was simply raising chickens. Boy was I wrong. We have successfully obtain funding for over 8 small businesses chicken farm owners. From eggs to actually raising and selling chickens to other individuals smart enough to venture into raising the little critters. Now of course there are many ways to bring the money in with the chickens, and wise owners already know the path. Are you interested? Have you got the gumption up to try raising some chicken little ? Believe me when I say, discovering how to raise chicken can actually help you cross your own road to easy street and all because a chicken.